The Ukrainian city of Gorlovka is located in the heart of the main coal basin of Eastern Europe. Tourists here very little, but a lot of businessmen who come here to conclude different contracts. In order to get to Gorlovka the Russian traveller visa is not required — on the territory of Ukraine from Russia can enter even with the internal passport. The fastest way to get to your destination by plane. 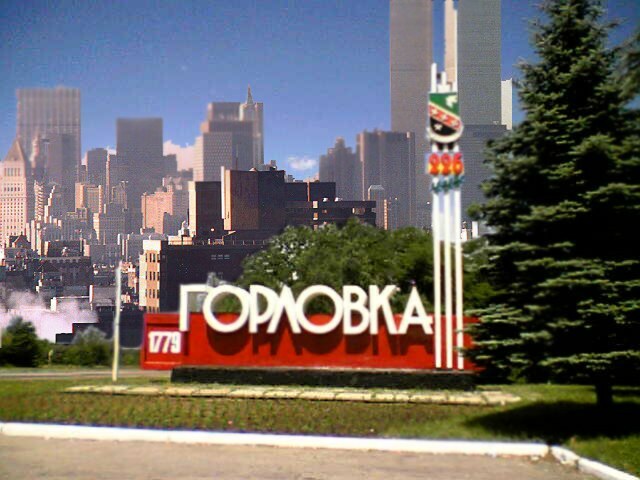 The only negative — you will need to transfer, as in Gorlovka there is no airport. You can fly on one of the many flights "Moscow — Donetsk" from the Moscow airports Sheremetyevo, Domodedovo and Vnukovo. And after arrival in the airport of Donetsk, it is necessary to take bus No. 33 and go to the stop "Gorlovka". Total journey time will be 2 hours 30 minutes. There are terrestrial ways to travel to Gorlovka. For example, long-distance train. To reach the station "Horlivka", have the following compositions: "Moscow — Donetsk, Moscow — Mariupol" and "Moscow — Kislovodsk". They all depart from Kursky station of the Russian capital, and the way to Horlivka takes 16 hours and 40 minutes. An alternative to plane and train, bus. Three times a week from Kursky station leaves the flight "Moscow — Donetsk". It is necessary to reach the final station and transfer to the regular bus "Donetsk — Gorlovka". The total time spent on the road equals approximately 14 hours 30 minutes. You can drive to Gorlovka and in a special taxi, which is three times a week departs from the metro station "Komsomolskaya". The ticket is bought on the spot about an hour before departure. The road will have to spend 13 hours 50 minutes. To Gorlovka you can reach by car. For this we need to take the motorway M-2 "Crimea" and drive such cities as Kursk, Orel, Belgorod. And after the Russian-Ukrainian border will start the highway E-40, which pass through Kharkiv, Donetsk and Raisins. After Donetsk, we turn to the road T-05-13, which passes through Gorlovka. The time that you have to spend on the road is approximately 13 hours and 30 minutes.